Michael Chu is a partner with McDermott Will & Emery in Chicago, where he is the local practice head of the Intellectual Property Group. Michael focuses his practice on all aspects of intellectual property law, including litigation, opinions and prosecution relating to a variety of technologies and brands. In his litigation practice, Michael handles patent, trademark, trade secret and copyright matters, including trials in complex utility and design patent cases, appellate practice before the Court of Appeals for the Federal Circuit, and before the International Trade Commission (ITC). Michael also practices before the U.S. Patent and Trademark Office handling patent and trademark applications, appeals, and post-grant proceedings, including inter-partes reviews (IPRs). Michael also has extensive experience working with clients on litigation, licensing, regulation, outsourcing and import/export issues in Asia and Europe. 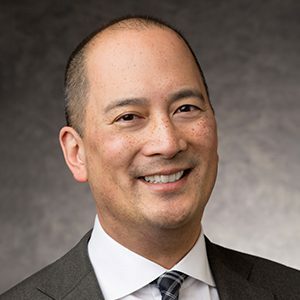 Outside of the office, Michael has held various leadership positions in bar associations and other organizations focusing on diversity and the Asian Pacific American community. He is a former president of the National Asian Pacific American Bar Association (NAPABA), a former president of the NAPABA Law Foundation, and has been a board member of the Asian American Bar Association of Greater Chicago, the Filipino American Bar Association, the AABA Law Foundation, the Korean American Bar Association, and the Chinese American Bar Association. Michael is also the current board chair of the Chicago Committee on Minorities in Large Law Firms. In the non-legal world, Michael serves as the current board chair of Asian Americans Advancing Justice – Chicago, a national affiliate organization that is dedicated to empowering the Asian American community.